This year is my second participating in the world-renowned Alpbach Forum. Last year I was invited to contribute to the Technology Forum and participated in breakout sessions with Karlheinz Töchterle, Austria’s Federal Minister for Science and Research. Although I was only in Alpbach for 3 days last year, there was a lot happening and it was clear that this was a unique forum, bringing together some of the world’s greatest thinkers across a wide range of fields. When I first met with the new European Forum Alpbach President, Franz Fischler, prior to the IIASA Conference last October, it became immediately clear that our attitudes towards the planet and life were very compatible. We very quickly found common ground, which has developed into a positive official collaboration between IIASA and EFA. Fundamentally the principles of European Forum Alpbach and IIASA are very similar. 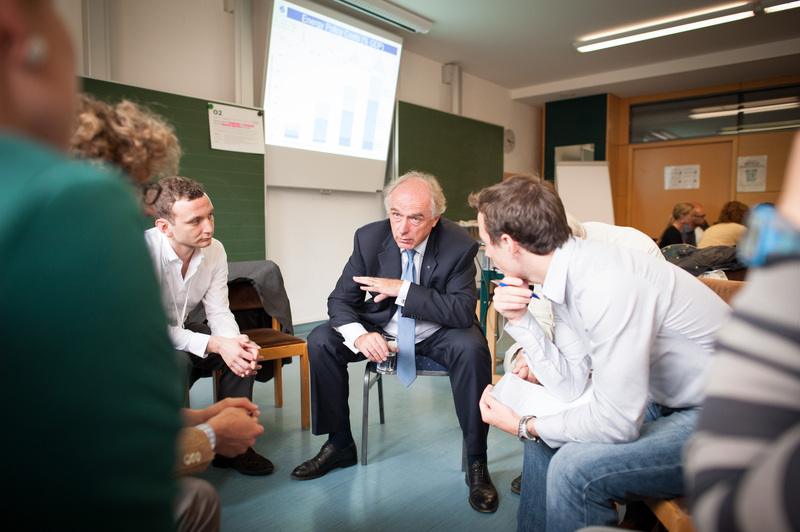 IIASA was established in 1972 to try and unite Europe after the Cold War, while the very first Alpbach Forum took place in 1945, immediately after WWII. This was an extremely courageous move, especially in Austria at that time. The forum was set up with the motive to build bridges by peaceful dialogue, and to get political leaders involved in that dialogue. IIASA had a similar role 20 years later, when Lyndon Johnson pursued JFK’s idea to create a bridge between East and West, using science policy to reach across boundaries. EFA and IIASA have now embarked on a new partnership. Like any new relationship it has started with ambitious goals. Yet we have also clearly defined those ambitions. EFA and IIASA share a vision on the global transformation—one that leads to a more sustainable, equitable and livable planet. We agree that there is not only a need for new partnerships, but also that that this transformation requires vision and leadership. Fischler and I both believe that this will not come from one country, government, business, or individual. We also agree that the steps that need to be taken for this global transition must come from the combined wisdom of academia, business, governments, civil society, and culture. Our first combined project is also our most ambitious: to establish, with the support of some of the most prominent world leaders from these sectors, a new global think tank, details of which will be announced later this week. Most importantly for the global transformation, I believe we need a change in narrative. The existing narratives on the Sustainable Development Goals, how to manage the resource crisis, the governance crisis, and the social crisis all need to be transformed into positive discussions. They need to be narratives of hope and of a positive future. This will not be an easy challenge. 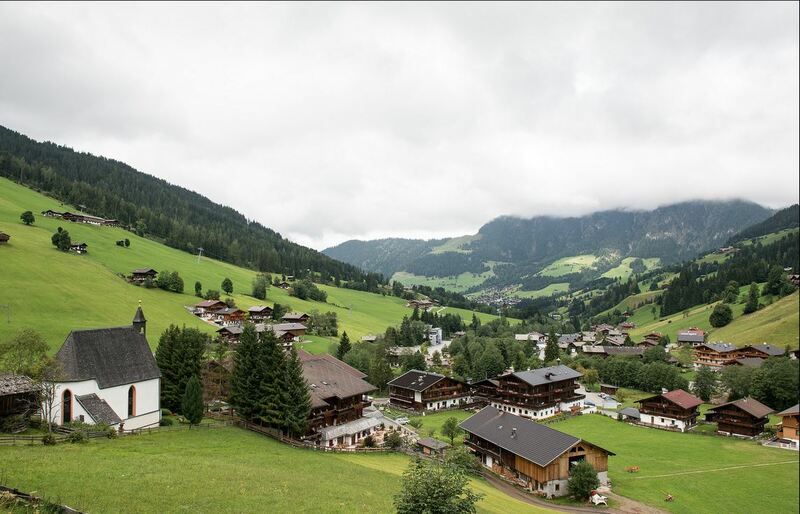 IIASA has been extremely privileged to take part in Alpbach this year. At the end of the forum I took part in discussions with European Commission President Jose Barroso, Heinz Fischer (President of Austria), Kandeh K. Yumkella (Chair of UN Energy), Habbib Haddad (CEO of WAMDA), Jakaya Kikwete (President of the United Republic of Tanzania), and IPCC Chair and Nobel Prize Laureate Rajendra Pachauri. We had a big obligation and responsibility to make concrete specific steps on what was agreed, and I am happy to have been able to contribute where both IIASA’s and my research can be of service. Although I have been privileged to meet many leaders this week, I’d like to mention just two in this small space. First, I am grateful to my colleague and friend Jeff Sachs, who participated with me in a number of discussions this week, for his continued support of IIASA. I agree fully with him that to establish a global knowledge network, and to work on changing the narratives about transformation, we need a goal. Second I was privileged to meet Erhard Busek, former Austrian science minister from 1989 to 1994, a time when Europe was uniting and therefore IIASA’s entire future was in question. His involvement with IIASA during that time helped shape the Institute’s future course, leading to today’s role as a globally recognized science and policy bridge-builder.